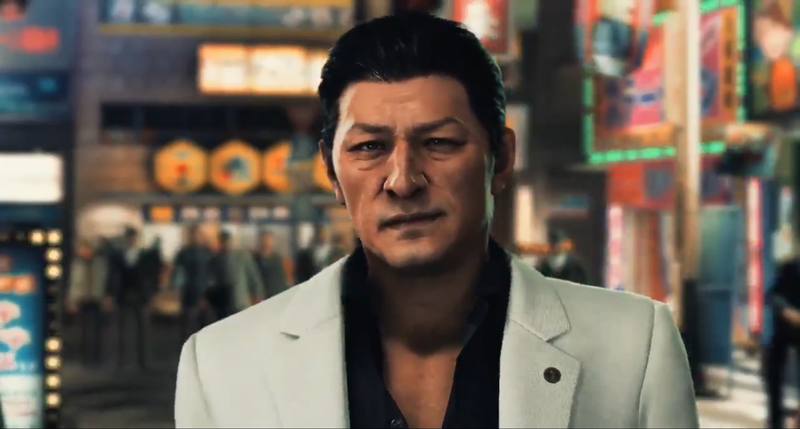 Sega’s crime thriller Judgment revealed the new face for the yakuza character Kyohei Hamura. The change was made after original actor Pierre Taki was arrested for alleged drug use. According to Sega, Taki’s replacement is not based on any real-life actor. Taki was arrested in March for alleged drug use after investigators searched his car and residence based on tips. Although no drugs were found, a urine test turned up positive results for cocaine. Drugs are serious business in Japan, and Sega quickly announced that sales for the Japanese version of Judgment would be halted and Taki’s role would be replaced. (The game isn’t out in the rest of the world yet.) Sales prices for Judgment rose as a result. Taki, who also provides the Japanese voice for Frozen’s snowman Olaf, also had his voice removed from Kingdom Hearts III. A tweet today from Sega’s Ryu ga Gatoku Studio, the team behind the new game, showed the first look at Taki’s facial replacement. The original introduction of Hamura, with Taki’s likeness. Above is a comparison of Taki’s original performance and the digital replacement. A representative for Ryu ga Gatoku Studio told Kotaku that Hamura was an original character not based on a real actor. Hamura’s voice-over work, which will feature a new actor, is not currently complete, they said. Judgment still features real actors’ likenesses in other lead roles, including actor and pop-singer Takuya Kimura as the private investigator Takayuki Yagami. Taki’s not been completely erased., The game has been out in Japan since last December. Players who bought the game before Sega halted sales (like Kotaku’s Tim Rogers) experienced his performance as Hamura. Some playthroughs with Taki’s performance were uploaded to YouTube. This is not the first time that drug allegations have led to changes in a game by Ryu ga Gatoku Studio. Last year, actor Hiroki Narimiya’s likeness was removed from an updated Yakuza 4, a game which was released in 2010, following allegations of cocaine use in 2016. Nariyama retired from the entertainment industry that same year. Judgment’s worldwide release remains on track for June 25. It will feature both an English and Japanese audio tracks, but presumably no remnants of Taki’s performance.